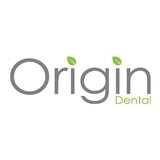 Origin Dental - Victor Tran, DDS (San Diego) - Book Appointment Online! Our one-on-one approach to dentistry, in addition to advanced dentistry services and stunning results we consistently achieve, make Dr. Victor Tran and the Origin Dental staff the dentistry team of choice in the San Diego, CA area. We offer comprehensive dental treatments, including preventative exams, restorative care and cosmetic procedures, among others. We promise that at Origin Dental you'll always leave with a smile.